"You should be ashamed of yourself, humiliatin' your sister 'n' me like that. We don't wanna talk to any y'all right now so take your little gossip column and your embarrassing photographs and just go away!" Big Mac is awesome when he is angry! 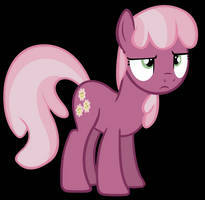 From season 2 episode 23 "Ponyville Confidential". "GET OUT OF HERE YOU LITTLE THIEF!!" Big Mac: Hello, Dash. Word on the street is that you're the toughest pony in Ponyville! Rainbow Dash (quizzically): Uh, yeah? Sining Armor: Well, guess what? 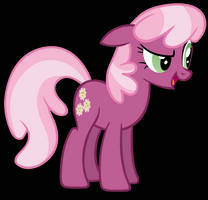 We're the toughest ponies in the other parts of Equestria... (pounds hooves intimidatingly) and we want a piece of you! 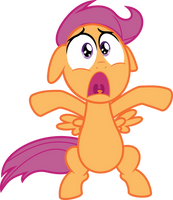 Rainbow Dash (whimpering in fear): Eep. Somepony help me! Big Mac: You imbeciles! This is all your fault! 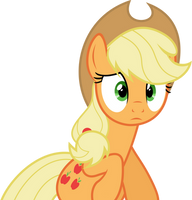 Big Mac is not amused. He's scarier than the Incredible Hulk! I'd sooner beat the snot outta him! Used this guy in my comic here. And he looks at me. And i look at him. AND I LOOK AT HIM! And he says "Sorry,What did you photograph?" That's the first time he's raised his voice at anybody and talks normally. That's the first time he's raised his voice at anybody. I was all "O.m.gosh. Did he just talk?!" Damnit, Bloomie. I tell you hwhat.